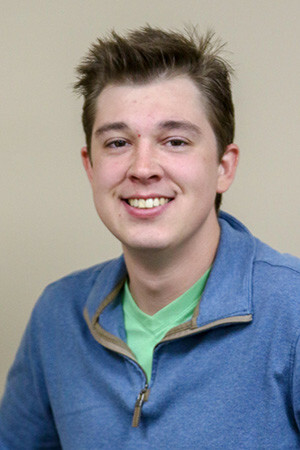 Dominic began working for Sunrise Printing and Publishing in the beginning of March 2018 as a staff writer and photographer. He was previously a radio host and news anchor with a rural radio station in the Thumb. Prior to that he was a reporter as well as a jazz and blues radio host with the NPR affiliate based out of Mount Pleasant. Dom will always refer to San Jose California as his true home, but his formative years were spent mainly in the suburbs of Grand Rapids. He graduated from Jenison high school in 2011. He finished 5-years of study at Central Michigan University with a B.A. in journalism. Dominic is and always will be an audiophile. He loves editing and recording audio, and is an aspiring voice actor in his free time. When he’s not in his homemade studio, most of Dom’s time is spent outside with his dog Fletch, named after Chevy Chase’s character in the movie of the same name. When he leaves his animal at home, Dominic likes to snowboard, camp and take his recurve bow to the woods for some archery practice. Dom loves stand up comedy and is constantly looking for more to consume alongside the copious amounts of cartoons and movies he always keeps on standby for lazy days. Dom’s favorite sport to watch is football, but hockey is a close second whenever he’s got the time to catch a game. His favorite teams are the New York Giants, Mets and the San Jose Sharks. If you ever want to figure out why, just stop him at the nearest watering hole and ask him some time, he’d love to talk about his connections to those teams. While he would never call himself a chef, Dominic loves to cook. It’s something his deep italian roots have instilled in him since he was a kid. Just don’t ask him for a recipe, because he refuses to use them. Cooking by smell and taste alone is his way of keeping things interesting, and never getting bored by attempting the same meal more than once.